Last week, a German tourist fell to his death after posing for a jumping photo at a restricted area of Machu Picchu ruins in Peru. Just a day prior, another tourist also died from attempting a self-portrait atop the Gocta waterfall in same country. 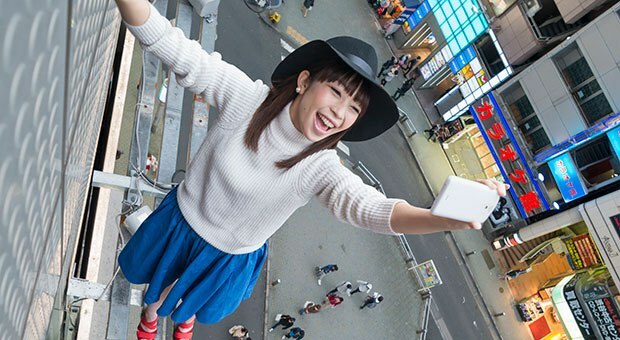 Selfies may not be an official cause of death in a formal sense, but these new incidents add to a growing number of fatalities attributed to risky selfies. Pictured above: a Russian teen who died last year trying to take self portraits from dangerous spots. According to research by Priceonomics, the most common cause of selfie-related deaths is falling from heights, followed by drowning. The average age of selfie death victims is 21 years old, with 75 percent from reported cases skewing toward male victims. Priceonomics cites that men are more likely to take “recreational risks” despite women taking more selfies in general. The issue affects the global population: in January 2016, the Washington Post reported that India saw the highest numbers of selfie-related deaths than anywhere else in the world, prompting the country to add “no selfie” zones at tourist attractions. Combine this with the fact that India has a high drowning fatality rate especially with those between the ages of 15 and 25 and you’ve got a triple whammy. Meanwhile, Russian government released a public guide for safe selfie practices last year. Norway’s tourism board has its own webpage for safe selfie guidelines as well. Many others have also died from attempting to take risky photos in general: this past New Year’s Eve, a college student fell to this death after scaling New York’s Four Seasons Hotel for a photo from the facade. We see a lot of people die doing what they love, but no amount of Likes and retweets should ever be worth a cool-looking selfie. The statistics over the past two years show no sign of significant slowdowns, which is worrying. As if we didn’t already have a big enough problem with the way internet addiction affects our mental health. Let’s not let selfies be another one of our many tech-related stresses.